Mandy Gavin (first person on the left) and her friends on their first day of orientation had orientation on June 19, 2015, at Hong Kong University of Science and Technology. They had a tour around the university and said they were amazed by how beautiful the campus was. News reports have told how the number of Chinese students has skyrocketed in the University of Iowa and the students’ struggles to fit into American society are of concern to the university. However, few people realize that some students from Iowa go through similar difficulties when studying in China. Their most commonly shared difficulties with Chinese students studying in the United States are language and cultural barriers. “I didn’t know any Chinese. 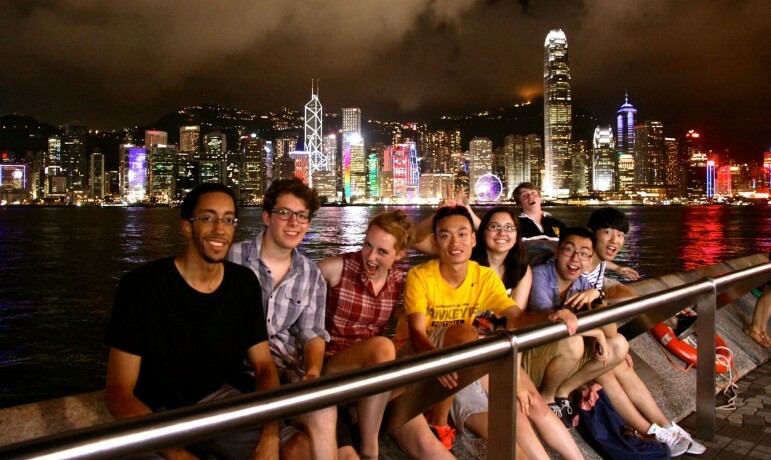 Since it was Hong Kong, you didn’t need it, ‘cause most people spoke English,” Mandy Gavin, a 19-year-old University of Iowa sophomore from Cedar Rapids studying industrial engineering in Hong Kong last summer, said. Although street signs were written in English, many taxi drivers usually did not speak much English. Neither did the front desk ladies working at her dormitory. Like Chinese students in Iowa, American students studying in China said they tried their best to conquer language barriers and fit into the mainstream societies. They flew to the other side of the earth to discover a different world to achieve this goal. “I just want to see somewhere completely different in the world,” Gavin said. Mandy Gavin (fourth from the right) went to see a light show with her friends in Hong Kong in summer 2015. They randomly asked someone who passed by to take this photo. Steven T. Duke, the assistant vice president for Global Strategy and International Initiatives at University of Nebraska, wrote in his book “Preparing to Study Abroad: Learning to Cross Cultures” that students studying abroad face three main challenges: communicating with local people effectively, stepping out of their comfort zones while learning the host countries’ culture, and knowing the host countries’ people without stereotypes. China was the fourth favorite destination for University of Iowa students who chose to study abroad, following Italy, the United Kingdom and Spain. The university’s International Programs website shows that 96 University of Iowa students studied in mainland China during the 2013-14 school year. Another 39 studied in Hong Kong and five studied in Taiwan in 2013-14, the most recent school year for which numbers are available. Numbers for 2014-15 will not be available until the end of May, Elizabeth Wildenberg de Hernandez, associate director of study abroad at University of Iowa International Programs, wrote in an email. International Programs reported 2,797 students from mainland China enrolled for the fall 2015 semester in Iowa City; 2,115 of them were undergraduate students. Most Chinese students were in the College of Liberal Arts and Science and the Tippie College of Business. The challenge of cultural adjustment begins before any student studying abroad arrives in another country, regardless of the country in which the student studies. Like many other Chinese students in the University of Iowa, Yiman Lyu started to prepare in high school. 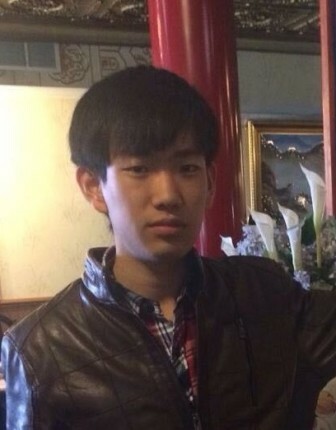 Lyu, from Shijiazhuang, Hebei Province, is a 21-year-old junior majoring in mechanical engineering at Iowa. She said she never thought about studying abroad until one night her father met an old friend who was living in America. “It was already 11 p.m. when my father asked whether I wanted to study in America, and I agreed without a second thought,” Lyu said, speaking in Chinese. From that point, Lyu went on a journey that is unconventional for Chinese high school students – she chose to study in the United States instead of taking a college entrance exam. A People’s Daily article reported that fewer than 200,000 Chinese students chose to give up the college entrance exam to study abroad in 2013, when she came to the United States. According to Sina.com, a major Chinese website, 9.12 million Chinese high school graduates took the college entrance exam in 2013. Gavin, who studied in Hong Kong University of Science and Technology from June to August 2015, said she spent about one year preparing for her overseas studies. At the beginning of the fall 2014 semester, Gavin went to a study abroad fair. Later she consulted study abroad advisors. She started the application process in December. During the winter break, she looked for scholarships to support her study in Hong Kong. Gavin said she went to several information sessions after she was admitted in March 2015 and an orientation held by the University of Iowa study abroad program. During those sessions, she learned how to prepare for a long-distance flight and arrange transportation after arrival among other useful things. She also received cards with emergency contact information. 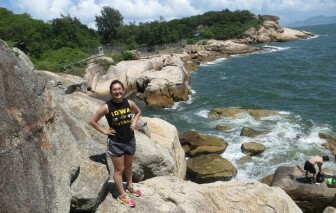 In addition to information sessions and orientations, the University of Iowa study abroad program offers a mandatory online course, according to its website. Katherine Ron, a senior advisor in the study abroad program, said the online course has information that helps students get used to living in foreign countries. For example, it includes how to carry money and many other safety tips. The course also helps students focus on their goals for overseas studies. Gavin said she did not speak Cantonese, the Chinese language spoken in Hong Kong, because her study abroad program did not require students to and because courses were conducted in English at her university. To solve the language problem, Gavin used a phone plan with data to use Google Translate as her translator. Mandy Gavin visited Cheungchau, a Hong Kong island, with her friends on June 27, 2015. They hiked around the island, discovered a small cave and relaxed on the beach. That night, Gavin tried hot pot for the first time. Gavin ended up making friends with people who spoke English because she could join their conversations. Most of her friends were American students and other international students. Three of her friends in Hong Kong also were from Iowa. Gavin said she cooked in the dormitory with her friends once. An international student from Turkey made chicken with vegetables. “That was really good,” Gavin said. The language barrier was similar to what Qiudong Song endured in the United States. Song, a 21-year-old Chinese student from Jinan, Shandong Province majoring in biology, had to start over as a student in the Iowa Intensive English Program because he did not meet the English proficiency when he applied for the University of Iowa about two years ago. The Iowa Intensive English Program is provided by the university’s English as a Second Language Program. International students in this program learn about English speaking and writing skills that could be crucial for them to study in U.S. colleges and universities. The program “is not as easy as I expected,” Song said in Mandarin. Qiudong Song is shown in a Chinese restaurant at DeKalb, Illinois, in this 2014 photo taken by a friend. Song spent more than one year in the program, learning how to cite sources correctly using American Psychological Association and Modern Language Association citation styles. After he left the Iowa Intensive English Program and took an undergraduate rhetoric course at Iowa, he found that one of the readings had been used in his intensive English classes. Song said he is confident now communicating in English. He is in the Chinese Students and Scholars Association (CSSA) student group and in charge of its human resource department. Although the association is an all-Chinese organization, Song still has many opportunities to speak English, especially when the association cooperates with other student organizations. Using a foreign language in classroom can be challenging because of specific terms used there, including scientific terms. Jeffrey Ding, a 22-year-old University of Iowa senior from Iowa City studying political science, economics and Chinese participated in the CIEE Advanced Chinese Studies program from September 2015 to mid-January 2016 at Peking University in Beijing. Studying in the same classroom with his Chinese peers, Ding said he was forced to use Chinese to communicate. At first, he felt a little uncomfortable. 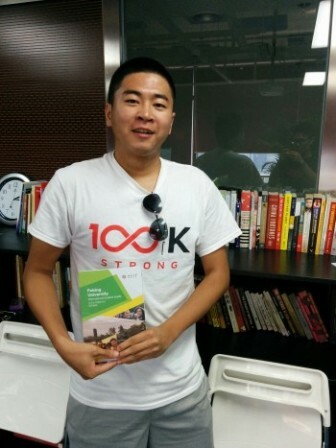 University of Iowa student Jeffrey Ding was a 100K Strong student ambassador while studying at Peking University in September 2015. However, Ding said, he learned that the best way to improve his Chinese was to embrace the challenge and immerse himself into the Chinese-speaking environment. Sometimes he had to deal with complex topics and participate in debates with his classmates. Ding’s effort paid off. “I feel very confident in my Chinese skills,” Ding wrote in an email. He was getting a chance to prove my Chinese proficiency in a professional work environment as well as a full-time intern at B&D Law Firm in Beijing until March 23, 2016, translating documents and doing research for Chinese companies. Unlike Gavin, Ding had many local friends who encouraged Ding to participate in class discussions when he felt insecure about his language skills. While improving his language skills, Ding also discovered another thing about Chinese students. “I thought Chinese youth were very hardworking and focused on their studies, and I definitely found that to be true at Peking University,” Ding said. “I also learned that they like to have fun and let loose, like singing KTV.” KTV is a popular form of entertainment among young people in China. It involves a group of people going to a business that provides a room where they can sing karaoke together. As the population of undergraduate University of Iowa students from mainland China grew problems gradually were revealed. Previous IowaWatch stories have told of how University of Iowa Chinese students’ cultural adjustment and used self-imposed segregation to cope. Lee Seedorff, the senior associate director of the university’s International Student and Scholar Service, said this especially caused problems with Chinese students’ language adjustment. Using English in class “really isn’t enough to maintain and improve your language proficiency,” Seedorff said. However, many Chinese students try to stay outside the bubble that separates many others from U.S. students and their culture. 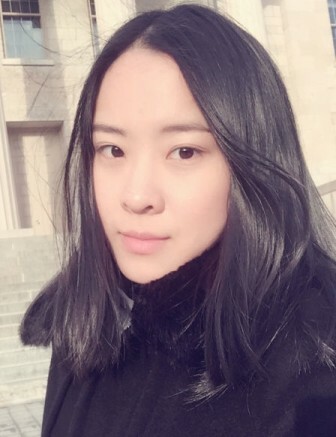 Wanjia Li, a 22-year-old senior and journalism student at Iowa from Dalian, Liaoning Province, said she hung out with her American friends frequently even though she found it could be hard sometimes. Wanjia Li, University of Iowa student, in front of Old Capitol on Feb. 4, 2016. She did not know then that calling people fat is impolite in U.S. culture while it is usually okay to say that in Chinese culture. Her friend was angry at first, but eventually forgave Li and they remained friends. Li became confident about her ability to communicate with American students. Although she still felt sometimes that her English was not good enough, the language barrier did not stop her making friends with local students, she said. Both the United States and China have their own important traditional holidays, like Christmas or the Chinese New Year. During those annual holidays, people who do not go abroad usually enjoy long breaks and gatherings with their families. However, students studying abroad cannot drop their studies for breaks and go home for the cultural traditions there. The Chinese New Year in 2016 was Yiman Lyu’s third New Year holiday away from home. Fortunately, the Chinese New Year’s Eve in 2016 was a Sunday. “I gave myself one day’s break,” Lyu said. Early the morning of Feb. 7, Lyu’s alarm clock woke her so she could watch China Central Television’s live stream of New Year gala on a Chinese website while talking with her family in China on phone and via WeChat, a Chinese social medium. Because of the time difference, it was New Year’s Eve in China but morning in Iowa. Later, Lyu went to one of her Chinese friends’ home, where they had dumplings for lunch. In the afternoon, they stayed together and watched videos. After going back home at night, Lyu talked with her family again. Jeffrey Ding had a similar experience celebrating the most recent Christmas in China. One of his American friends from the same study-abroad program hosted a potluck at her host family’s house. They celebrated with traditional American activities like Secret Santa. While their friends and families gathered back home, many students studying abroad only had each other. The University of Iowa has intensely recruited Chinese students since 2007, but has made little progress fostering their assimilation to campus life. In some respects, an IowaWatch investigation has found, the university’s practices make interactions with domestic students more difficult and increase isolation.